Here’s a summary about the items needed to be a well-equipped beginner in the Flagler Youth Orchestra. There will a sizing station at our open house on September 5th. It is critical that you do not leave that night without getting your child sized, and preferably by one of our teachers. Once you have this information, it gives you the option to shop around. We hope this summary post will make you feel less overwhelmed by the process of getting started and give you useful information as you begin your educational journey with FYO. First, your method book. 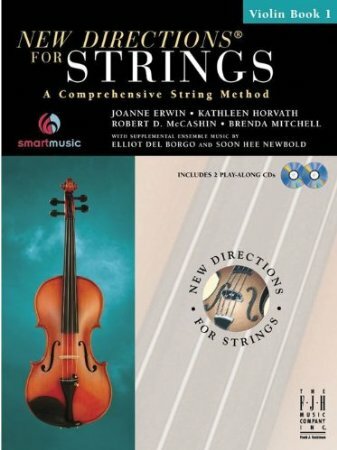 New Directions for Strings, Book 1. Be sure to purchase the version for the instrument your child is playing. Here is a link to the book for violin at Amazon.com, but you can also purchase this book from any of the music stores who attend the open house: Miguel’s Violin Shop, Yancey’s Music, and Music and Arts, or SharMusic.com. It sells for approximately $9.00. Your goal should be to have this book in hand by the 3rd class. Violin and viola students: you must get and use a shoulder rest. We recommend the Everest model. Make sure you select the correct size. Here is a link to the violin shoulder rest at Shar Music, but you can purchase from any of the music stores that attend the open house or any other online store. They are approximately $14 – $21. Violists, please see Ms. Cheryl for assistance on purchasing shoulder rests for your instrument. The violin version can work on many sizes of violas, which will save you some money. Your goal is to have this item ASAP. Shar Music will not be at the open house on September 5th, but they have a very convenient online rental program which can be found at this link. Violins rent for $17/month. Do not delay in placing the rental order, because this is a very busy time of year. We would be thrilled to have their instruments in our classroom. Be sure to select the correct size (there will be a sizing station at the open house on September 5th) and don’t forget to mention the method book above when ordering, if you chose to buy the starter kit. Kun or Everest brand shoulder rests are best. If you are in the market to purchase a violin, the Franz Hoffmann student level instruments from Shar Music were tested in our program for many years with very good results. This line of instruments runs from $170 – $325. Our best advice is to buy the most expensive model you can afford in this line. The quality improves with cost. Another tip: Shar sells trade-in or blemished instruments at a significant cost savings. We’ve had excellent experience with these instruments and recommend clearance instruments for the savings, if you can find the size and model you’re looking for. If your child needs a full size, our first recommendation is the Franz Hoffman Concert model. If your budget is more than $350.00, our teachers recommend a visit to Muni Strings. Either way, unless you have prior experience with purchasing orchestral string instruments, please feel free to talk with us about where to look. We’ll base our recommendations on the amount you have budgeted. There are a lot of “violin-shaped objects” (VSO) out there that are poorly made, and it is a disappointing experience for your child (and a lot more work for our teachers getting them tuned during class time), if it doesn’t produce a nice sound. For more information about what we mean by VSO, click this link. Buying super cheap on EBay rarely works out. Please note: violins that are any color other than brown are definitely VSO’s. On the matter of the actual strings. They break. Please don’t sweat it. It’s unlikely your child did anything wrong to make it happen. They are usually not an “insured” item on the instrument, so you’ll need to replace them. We keep a healthy stock of strings and you’re welcome to purchase one from us at our cost. We’ll restring it for you, too. Don’t pay someone to do it! We can take care of it, just please contact us right away so we are prepared. Rosin is the sticky stuff your child will put on their bow to help create sound. Every child should have a block of it in their case. We sell rosin in our Suite Shop, or you can purchase it from any of the stores on our music store page or online. You can purchase a block of rosin for approximately $2.50. If you need to contact any of the music stores at our open house, here is a link to the music store page with their contact information. If you have any questions about selecting an instrument, the necessary accessories or anything to do with this learning experience, please do not hesitate to ask. We really want to help each of you along in this process. And finally, all students should have a folder and pencil with them for each class. Are you enrolled in FYO? If not, click here. Did you sign the video/photo permission slip and turn into Ms. Cheryl? Click here. Did you get your child sized by one of our teachers? Did you rent or purchase an instrument? Did you purchase the method book for your beginner student? 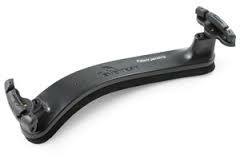 Violin/viola players: Did you purchase a shoulder rest? Does your student have a pencil and folder for use during string class?